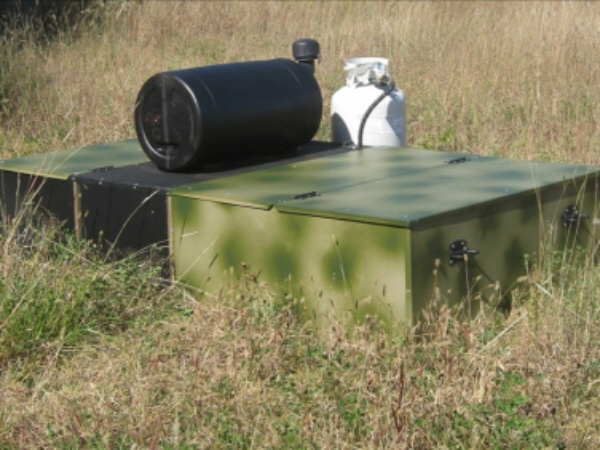 The Surrogator XL® is a self-contained field unit that will establish a huntable population of game birds on your property. This is NOT an adult bird release system! 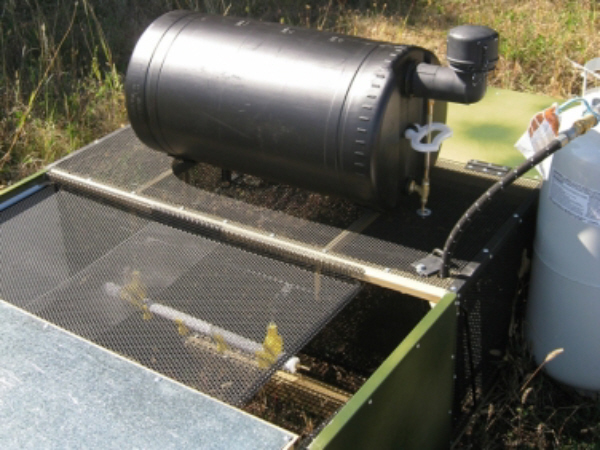 The Surrogator XL® will hold 125 day-old quail chicks or 65 day-old pheasant chicks until they reach 5 weeks of age. The greatest mortality on the life of game birds happens in the nest and before three weeks of age. 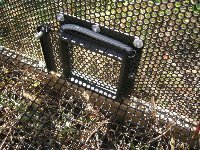 Chicks raised in the Surrogator XL® are protected from predators and the elements at a time when they are most vulnerable. Research proves that game birds develop their natural survival instincts around 5 weeks of age. 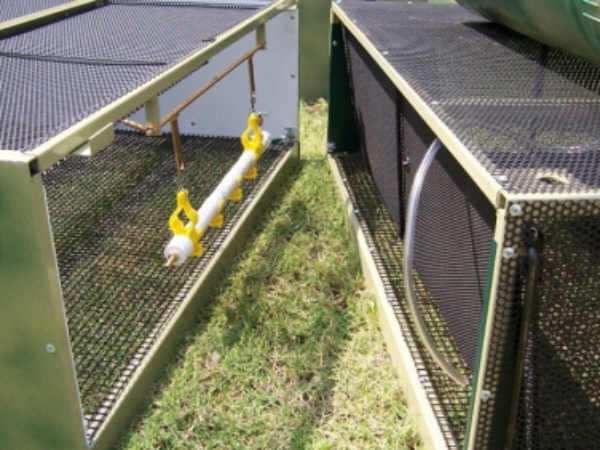 Chicks raised in the Surrogator XL® have limited human contact, further protecting the natural survivability of the birds. 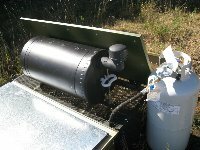 The Surrogator XL® functions as a “surrogate parent” by providing food, water, warmth and protection for the first 5 weeks of the bird’s life. 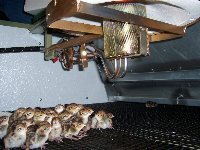 By placing he Surrogator XL® in a location where you would like to establish a huntable population of pheasant or quail, chicks raised in the unit become imprinted to that location. The bird's natural homing instinct motivates them to live and reproduce where they were raised and released. 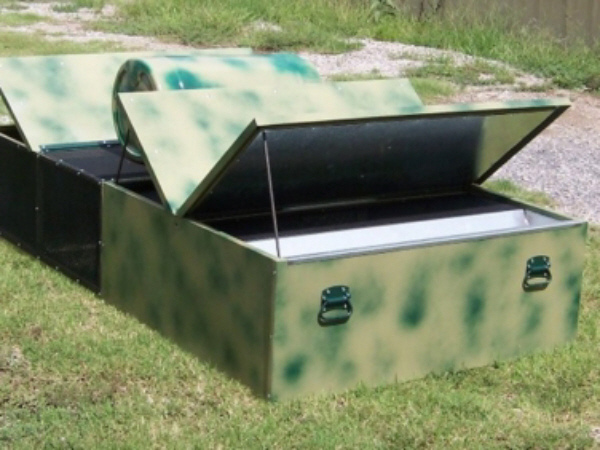 The Surrogator XL® is a full metal unit with camouflage finish. * The unit consists of two stackable components, size: 40" x 44" x16”. 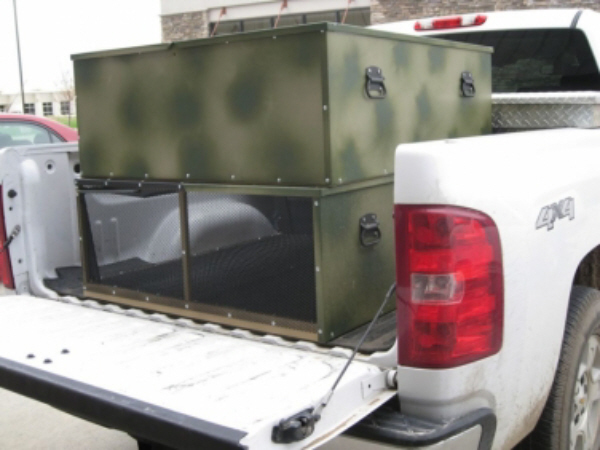 This allows for easier transporting, cleaning and storage. * The unit components easily detach with locking mechanisms. Access is through the folding brooding and loafing lids. 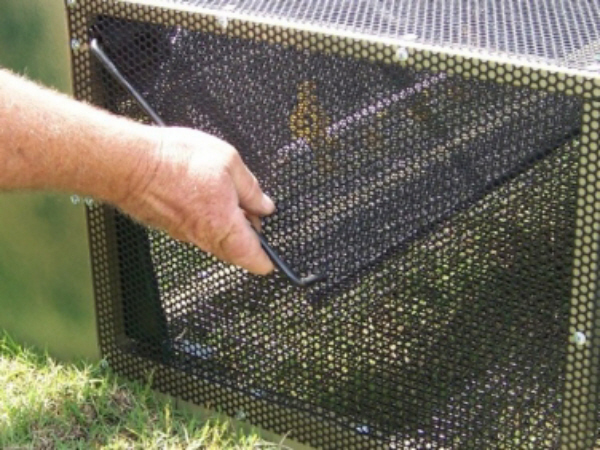 * The brooding lid is removable for easier access and cleaning while the unit is in operation without threat of bird escape due to the fly-out prevention screen. 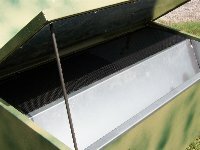 * Outside operated divider control (between brooding & loafing components). 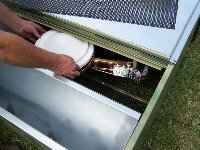 Constant temperature is maintained through a thermostatically controlled heating system. * A ceramic disk sits on a seat, mounted on swing arm for easy installation and access. * Angled heating controls allow for easier adjustment. Feed hopper access is easy and efficient. 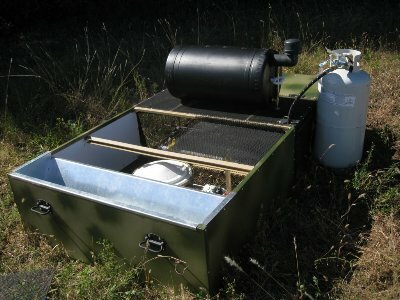 * Newly designed gravity flow feeding system promotes reduction in feed waste. * Rubber coated, pre-welded mesh flooring eliminates need for chick flooring. Arkansas, Colorado, Iowa, Kansas, Missouri, Nebraska, Oklahoma. Alabama, Illinois, Indiana, Kentucky, Louisiana, Minnesota, Mississippi, New Mexico, North Dakota, South Dakota, Tennessee, Texas, Utah, Wisconsin, Wyoming. California, Connecticut, Delaware, Maryland, New Jersey, New York, Oregon, Pennsylvania, Washington, Washington D.C.
Maine, Massachusetts, New Hampshire, Rhode Island, Vermont. NOTE: This is just an estimate, actual shipping charges may be higher and we will contact you for additional payment if necessary.